Dropbox Infinite is very similar to OneDrive placeholders, only better. Dropbox recently announced a revolutionary new concept it says re-imagines how people will manage their files in the cloud. 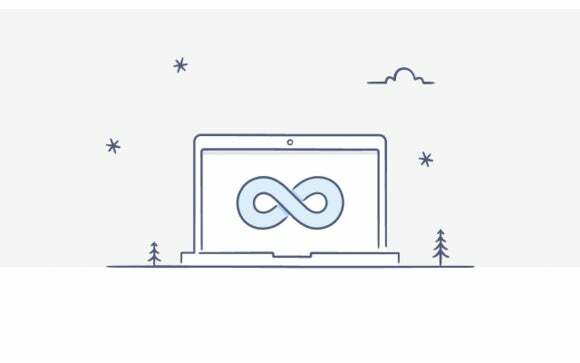 Called Dropbox Infinite, this new service for PC and Mac differentiates between whether a file is stored locally on your PC or only available online in Dropbox. All your files still appear in File Explorer, but if it’s not saved to your PC the file takes up zero space. If that sounds familiar, you were (or are) a Windows 8.1 user. The truth is there’s nothing all that new or revolutionary about Dropbox Infinite. With Windows 8.1, Microsoft introduced a similar feature for OneDrive called smart files—commonly called placeholders. Many users despaired when Microsoft reversed course nearly two years later and left smart files out of Windows 10. If we’re being honest, though, smart files was never an intuitive feature. In fact, Dropbox Infinite is an example of what smart files for OneDrive should’ve been. Dropbox Infinite builds off the familiar green check-mark badge everyone’s used to seeing on their Dropbox files: If you see the green check mark you know your file’s been synced; if you see a circle with two directional arrows instead, you know your file hasn’t made it up to the cloud yet. Dropbox Infinite adds a third icon to this that looks like a gray cloud. When you see it, you know that your file is on Dropbox but not saved locally to your hard drive. If you need a file that’s only saved online, click it and it downloads instantly—local bandwidth permitting. That’s an easy-to-use interface that Dropbox users will intuitively understand. Contrast that with smart files, which added a new category row called “Availability” to File Explorer indicating whether the file was available offline or not. That’s far less obvious than a badge that sits right there on a file or folder. To be fair, Windows 8.1 did use icons to indicate online or offline functionality if you used the OneDrive Windows Store app. But most PC users worked as hard as they could to avoid full screen Windows Store apps whenever possible—OneDrive was no exception. Perhaps if Microsoft hadn’t been so focused on Windows Store apps at the time, the company would’ve re-thought the interface to File Explorer. Who knows? Those icons in the OneDrive app for Windows 8.1 might have made their way to File Explorer. Why this matters: Dropbox Infinite and OneDrive’s smart files speak to the evolving PC landscape where PCs—especially laptops—are offering less storage than they used to. Although you can get high capacity solid state drives, many mid-to-low range laptops are offering around 128GB-256GB SSDs. To compensate for less storage, many people stash their files online where they are readily available when needed. If you’re hoping to see Dropbox Infinite pop-up on your desktop soon you may be disappointed. It appears to be a feature planned only for business customers. At least Dropbox is only talking about Dropbox Infinite as a feature for Dropbox Business. When we reached out to the company for clarification, a Dropbox spokesperson said, "We are not sharing information on pricing and packaging for Project Infinite at this time." 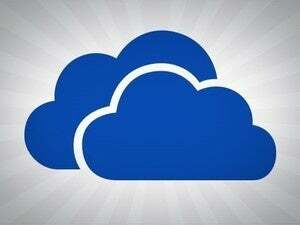 As for OneDrive, there’s still hope that smart files will return. Rumors in late 2015 said the feature would return with the Redstone update now known as the Anniversary Update due out this summer. If smart files do return, hopefully Microsoft will take a few design cues from Dropbox Infinite. This article was updated at 8 a.m. Pacific time on Tuesday, April 26 to add comment from Dropbox.